Arthur was born at 21 Napier Street, Ipswich, Suffolk on 16th July 1880, the son of Henry Baker and Martha Baker (nee Robinson). His father had been born at Holbrook, Suffolk c1847; his mother, in Ipswich c1849. They had married in 1870 and the following year had been living in Ipswich. Arthur’s siblings were all born in Ipswich. They included: Martha Baker (born in 1872), Henry George Baker (born in 1875), John William Baker (born in 1877), Rosa Annie Baker (born in 1879), Frederick Grove Baker (born in 1883), Stanley Robinson Baker (born in 1885), May Mary Baker (born in 1888) and Alfred C. Baker (born in 1890). Arthur Albert Baker came to Chelmsford from Ipswich to work in the town’s engineering industry, and served as a Borough Councillor. He became a stretcher-bearer in theTerritorials and was fatally wounded fighting the Turks at Gallipoli in August 1915. At the outbreak of the war his family home was in Seymour Street. labourer on the Great Eastern Railway. 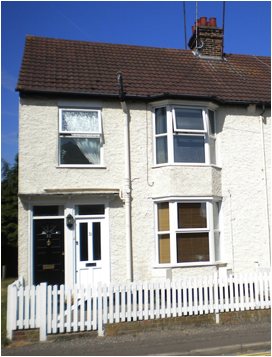 The 1891 census found Arthur, aged ten, resident with his parents and siblings at 192 Whersted Road, Ipswich. His father was a general labourer. A decade later the census recorded Arthur as a 20 year-old steam saw machinist (wood) living with his parents and siblings at 228 Whersted Road in Ipswich. His father was a shed man at a locomotive works. 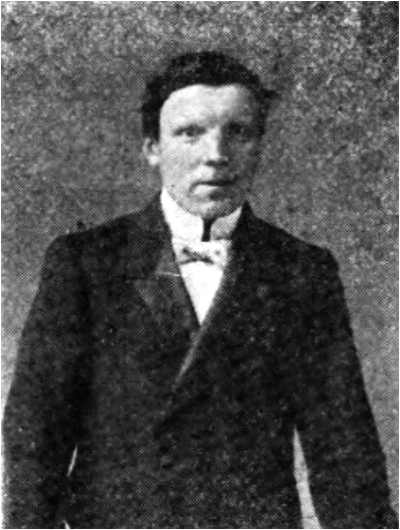 Arthur came to Chelmsford around 1904 and worked at both Crompton’s and Marconi’s. He married Ethel Mabel Pryke in the Chelmsford District in 1907. She had been born at Rose Cottage, Bramford near Ipswich c1885. The couple had at least two children: Pearl Gladstoner Ethel Baker (born in 1908 at 21 Waterhouse Street, Chelmsford), and Bernard Cecil A. Baker (born in 1909 also at 21 Waterhouse Street). The 1911 census found the family of four at 21 Waterhouse Street, Chelmsford. At the time 30 year-old Arthur was employed as a wood sawyer. In the following year Arthur enlisted at Chelmsford into the 1/5th Battalion of the Essex Regiment, ultimately serving as Corporal 1796, He was also a member of its band. The battalion was a Territorial unit formed in 1908 with its headquarters in Market Road, Chelmsford, and it naturally contained many Chelmsford men who were to lose their lives in the war. The term ‘territorial’ indicated that the volunteers such as Arthur who served with the battalion were under no obligation to serve overseas, with their focus on home defence, but many like him agreed to serve abroad after the declaration of war on 4th August 1914. By then Arthur had moved to 32 Seymour Street in Chelmsford (flat with black door in picture below). At the outbreak of the war Arthur’s battalion and the other Territorial battalions that formed the Essex Brigade were half way through their fortnight’s annual training at Clacton. On 3rd August 1914, the day before war was declared, Arthur’s battalion was initially ordered back to Chelmsford, but that was countermanded and the battalion marched for Dovercourt that afternoon. The following day mobilization papers were issued to all ranks and the battalion was alloted part of a pre-arranged defensive line west of Dovercourt. On 9th August 1914 the battalion was sent to Brentwood. It did not stay there long, moving to north-east Norfolk by the end of the month. In April 1915 it moved to West Bergholt, before transferring to St. Alban’s in Hertfordshire the middle of the following month. By then the battalion, along with three other Essex Territorial battalions formed the 161st (Essex) Brigade in the 54th (East Anglian) Division. The majority of the period since the outbreak of the war had been spent training in expectation of foreign service. S.S. Grampian on 23rd July 1915, with a somewhat depleted strength of 29 officers and 649 other ranks. Its ultimate destination was to be Gallipoli, Turkey to join the Allied forces participating in the campaign against the Turks which had started on 25th April 1915. “Chelmsford Councillor’s Death from Wounds. - We regret to announce that Corpl. A. A. Baker, 1/5th Essex. a member of the Chelmsford Town Council, has died of wounds received in the Dardanelles where he was serving with his regiment. His relatives have received official news that he succumbed on Aug. 26. The deceased, though not a native of Chelmsford, had lived in the town a good many years, and was respected by all who knew him. He was formerly engaged at the Arc Works, but later entered the service of the Marconi Company. A man of musical ability, he joined the Arc Works Band some years ago, and subsequently became associated with the Chelmsford Town Band. When a band was formed for the 5th Essex Mr. Baker joined it, and had served with that unit for several years. On the outbreak of war he went into training with his Battalion, and having signed for Imperial service became, as is customary with bandsmen, attached to the ambulance section, under Surgeon-Capt. Storrs, to whom he acted as orderly. He was promoted to the rank of corporal and went out to the Dardanelles with Battalion from St. Alban’s. Mr. Baker was a member of the Workers’ Union and a leader of the working-class movement in social and political questions. Though an earnest advocate of his own views, he always commanded the respect of those who differed from him, and was recognised on all sides as a most useful man. In 1913 he sought municipal honours. In association with Messrs.. A. R. P. Hickley and C. J. Adams he contested the South Ward and was was returned to the Council with Mr. Hickley. Mr. A. Driver, one of the retiring members, headed the poll with 628 votes, Mr. Baker obtaining 569 and Mr. Hickley 562. Mr. Adams polled 519. He did valuable work as a member of the Town Council and its Committees. When the Chelmsford and District Trades and Labour Council was formed Mr. Baker became a member of that body. A keen politician, he worked hard for the Liberal cause at two or three contested elections in Mid-Essex, while in the summer of 1914 he addressed a series of village meetings on the subject of land reform, in which he was specially interested. His voice will be greatly missed in the Trade Union movement in Chelmsford, his utterances always being the result of careful study and founded on deep convictions. felt in their sad bereavement. Arthur is commemorated at Helles Memorial in Turkey, on the Civic Centre Memorial, Chelmsford, and at the London Road Congregational Church, Chelmsford. He is not commemorated by the war memorial at St. John’s Church in Moulsham Street. He was entitled to the 1914-15 Star, British War Medal, and Victory Medal. In 1919 Arthur’s widow Ethel married Arthur Thurkettle in the Ipswich District – the couple later lived at 73 St. Helens Street, Ipswich. Arthur’s father died in 1928 in Ipswich.